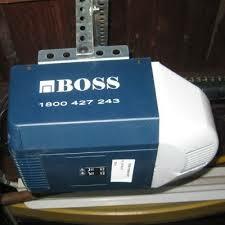 Having issues with your boss garage door motor? Our technician was a good friend of Paul’s back in the day and watched the brothers dominate the garage door industry when they separated and started Steeline garage doors. Together they manufactured both the garage door and automatic opener right here in Brisbane. However, as technology changed and our country developed they struggled to keep up with other manufactures and as a result the boss garage door motor was left behind and the boss garage door motor (older style) is now an obsolete model which no one can gain parts for to repair them. The boss garage door motor that is sold today isn’t up there with the security technology and product demands our customer want in their automatic openers. 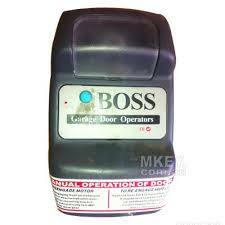 Both companies – Boss & Steeline were sold many years ago and are no longer owned by Australian investors.